Motor yacht ENTREPRENEUR was delivered by Ocean Alexander of the USA in 2018, she has an overall length of 25.91m (85ft) and accommodates 8 guests, across 4 cabins. Her interiors are light and inviting, with an open plan layout and panoramic surrounding windows. 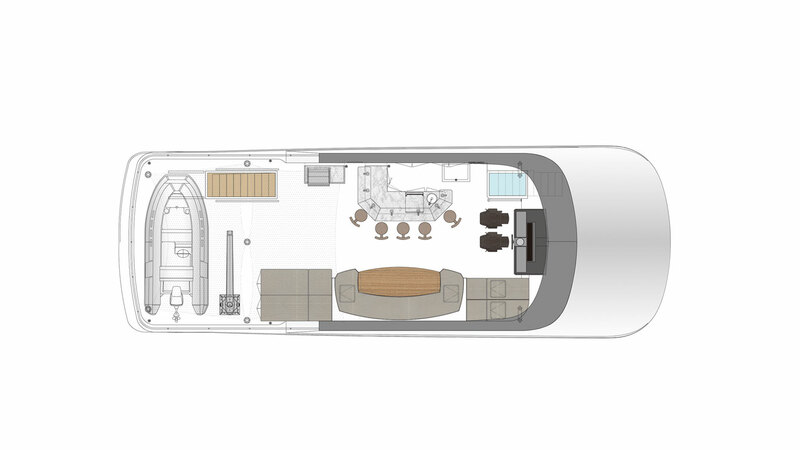 The lounge space is aft, while her formal dining table is situated forward. A country galley is located separate and further forward, with a dinette area, where guests are welcome to relax, ideal for canapes and coffee in the morning. 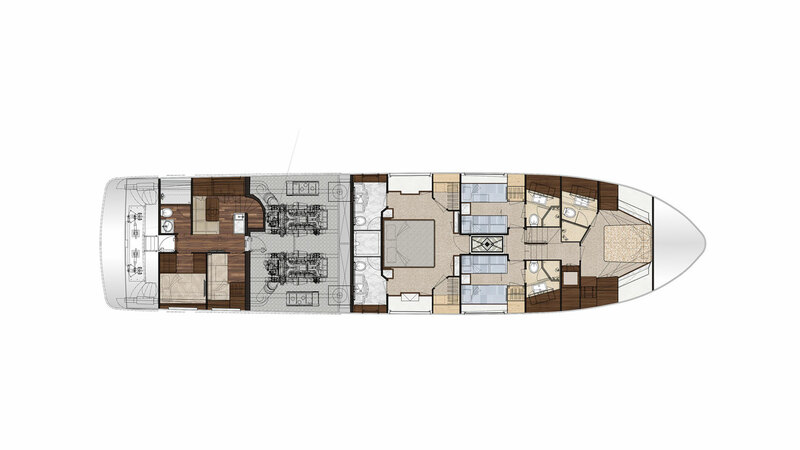 Below decks, the accommodation comprises a master, VIP, double and twin cabin. 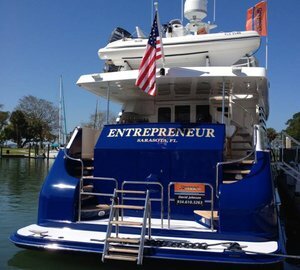 M/Y ENTREPRENEUR has 2 exterior levels of deck, perfectly suited to the luxury charters. 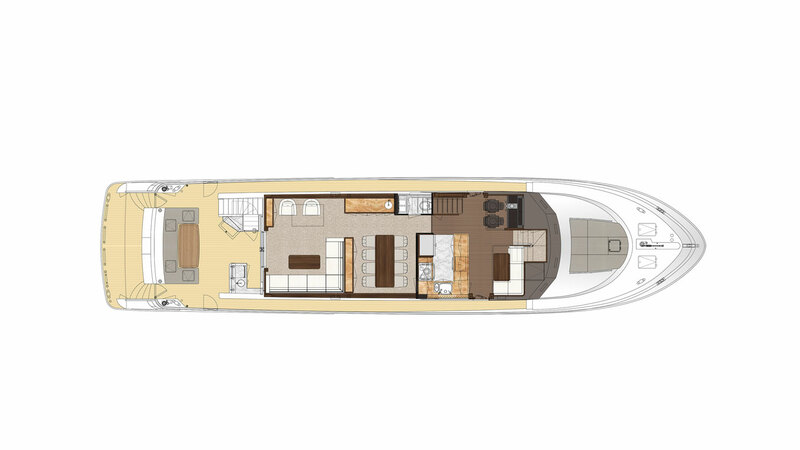 The main aft deck is shaded and has alfresco dining as well as a wet bar, creating a very social ambiance. On the foredeck is a raised sunpad. The top deck features sunpads, alfresco dining, seating and partial shade. Water toys are available from the extended swim platform, making enjoying the sea effortless. Twin CAT 1600hp engines power the Ocean Alexander yacht, providing cruising speeds of 12 knots and top speeds of 20 knots. Zero speed stabilizers ensure optimal comfort. Accommodation is on the lower deck, in 1 master stateroom, a VIP cabin, a double cabin and a twin cabin, all of which boast private en-suite facilities.